If the common Russian opinion of who runs the country matches the evidence of who really runs Russia, that’s a reliable test of a democratic culture. There’s a catch. If just one man and a handful of his trusties run the country, and noone else, not even the very rich or very honest, can improve on their reputation for trust, capability, or popularity, then this must be a democracy without competition. Compared to democracies like the United Kingdom, United States, Italy, or France, where those who run the country are untrusted, incapable, and unpopular, and where the power elite buys election results, respectability, lordships, freedom from taxation, and immunity from prosecution, Russia must be a model of something unusual in politics. At the head of this model Russian opinion polls and their foreign counterparts come to the same conclusion: in the top-10 most powerful men in Russia, there’s just one individual – President Vladimir Putin. By the normal measures of magnitude, Putin’s influence over events, power over people, and lack of obligations to others are so much greater than everyone else’s, so it is misleading to include other names in the top-ten. Forbes, which specializes in misleading and inaccurate lists of the rich and powerful, got this point right when it estimated the relative positions of the top Russians in the 71 most powerful people in the world. Putin came in at No. 3; Prime Minister Dmitry Medvedev came next at No. 61. Placing Medvedev behind Terry Gou, who runs an electronics tool company in Taiwan, and ahead of Joaquin Gusman Loera, a Mexican drug lord, is pretty close to how Russians view Medvedev, notwithstanding his near-decade in near-top jobs. Forbes makes its usual mistake of confusing money with power by judging that the third most powerful Russian is the owner of iron-ore mines, steelmills, a mobile telephone company, and an internet portal company, Alisher Usmanov. Forbes always makes the mistake of confusing money with power in Russia. Not since Mikhail Khodorkovsky woke up on the morning of October 25, 2003, the richest man in Russia, and went to sleep that evening in prison, has big Russian money turned into the kind of power its owners like to advertise, and count on Forbes doing so for them. Forbes also misses the obvious financial point – it doesn’t know the difference between gross asset value and net wealth, because it cannot gauge the debts and concealed obligations of the Russian rich. So this year’s Forbes list of the current top-200 richest Russians isn’t about power because Usmanov is on top. For an estimate of how much smaller his net is compared to his gross, read this. There is also the problem in Usmanov’s case of how to measure the political power of an individual who arranges to whisper and kiss in public with the front-running presidential candidate in Uzbekistan but who has never been seen in public, on his own and closer than arm’s length, with President Putin. Gossip about how influential Usmanov’s wife, Irina Viner, may be behind the scenes doesn’t compensate for that. Forbes’ richest Two Hundred also includes Andrei Melnichenko (Eurochem fertilizers, SUEK coal, and MDM Bank) at no. 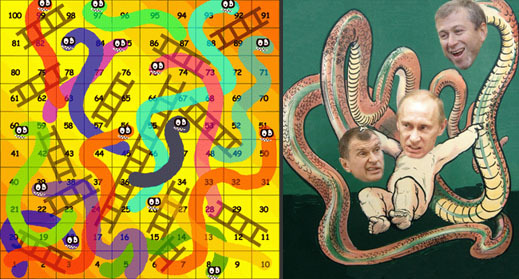 6 and Mikhail Prokhorov (Onexim holding) at no. 10. The former is married to a Serbian lady; the latter is a bachelor. Both have invited American television networks into their privates, I mean private quarters, so that their good fortune can be verified. How come then that the most powerful man in Russia cannot be persuaded to meet them for a photo opportunity to verify their power? Prokhorov was the target of a public dressing-down by Putin in March 2010. Putin revealed at the time that he had had a tete-a-tete with Prokhorov: “He feels good in economic terms, as they say in certain circles, he made some dough. He has money. He goes to different offices, and he came to me recently. I have a very nice relationship with him. He seeks various use for these funds and resources. But it is necessary to meet the commitment assumed earlier!” Since then Prokhorov has reduced his vulnerability by turning most of his solid Russian assets into liquid cash. His power handicaps are that he’s much taller than the President and his attention span much shorter. Of the Top-10 on the Rich List, Melnichenko is the only one not to be known to slip in and out of Putin’s office for meetings. That he’s been into Medvedev’s office doesn’t count. Roman Abramovich (steel, coal, gold), who slipped four places off the Forbes Rich List this year to unlucky No. 13, has exercised more private access to Putin than others. But that’s because Putin enjoys Abramovich’s cheerful readiness to do exactly what he’s told, not because Abramovich has the power not to take orders. Putin has measured the leash on which to keep Abramovich more certainly than Abramovich’s first patron, ill-fated Boris Berezovsky. Timchenko is a special case. He’s missing from US Foreign Policy magazine’s 23 Russians on the list of the 500 most influential people on the planet. That list discredits itself by including the retired Russian Central Bank head, Sergei Ignatiev; Ukrainian gangster Semion Mogilevich; and Foreign Minister Sergei Lavrov. Lavrov has never made it to deputy prime minister, and is outranked by several ministers whose names are missing from the list; their significance will appear in a moment. Scratch the academics and intelligence officers who supply Foreign Policy magazine with their power ratings: they look more credible when their classified cables are published by Wikileaks. Scratch the Financial Times of London for much the same reason. Its list of “25 Russians to Watch”, published on December 16, 2011, included notables whom the passage of time has already disobliged anyone to watch – reality show personage Ksenia Sobchak; Dasha Zhukova, current wife of Abramovich; and Vladislav Surkov, the Kremlin courtier who was dismissed this past May for getting too big for his boots and putting his foot in his mouth; then rehired for a petite pair of slippers last week. As an “insiders’ guide to the country’s movers and shakers”, the Financial Times list erred more on the side of shaking than moving. But it did get four names right – Timchenko’s, plus Arkady Rotenberg (steel pipes) and Yury Kovalchuk (banking); plus the current deputy prime minister in charge of the defence industrial complex, Dmitry Rogozin. Timchenko, Rotenberg and Kovalchuk don’t always agree with each other, or act in concert. But their power lies in their subordination to Putin, and to Putin’s most powerful subordinate, Igor Sechin. To this group, Roman Shleinov, one of the country’s most effective investigative journalists, applies the cross-the-road test. 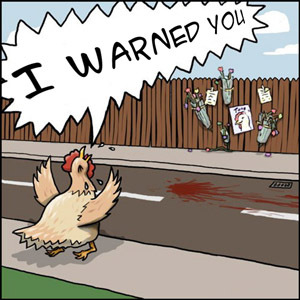 This is a variant of the international question – why did the chicken cross the road? Should there be any doubt about who has crossed safely, and whose remains are on the pavement, watch carefully how Putin and Sechin wind up the affairs of Uralkali, state potash champion, and dispose of Suleiman Kerimov (latterly No. 20 on the Forbes Russian Rich List ). In that process, it might be judged that the bosses of the three state banks funding such operations – Sberbank’s German Gref; VTB’s Andrei Kostin and Yury Soloviev, and VEB’s Vladimir Dmitriev – are as big as their money bags. Not their money, not so big. Milov, Time’s analyst of Russian power, turns out to be, according to the US Government organ, Radio Free Europe-Radio Liberty, “the Russian Opposition’s Fresh Face”, and also “tall, handsome, and well-spoken at age 39, Milov is the newest poster boy for Russia’s liberal opposition.” No Russian polling organization which has been measuring nationwide recognition of opposition names has so far included Milov. Since the names of Alexei Navalny, Vladimir Ryzhkov, Sergei Udaltsov, Ilya Ponomarev, Evgenia Chirikova, and Olga Romanova are not recognized by 47% to 85% of Russians polled across the country, Milov’s non-recognition score looks to be 100% — at least outside the soundproof Radio Liberty studio in Vienna. 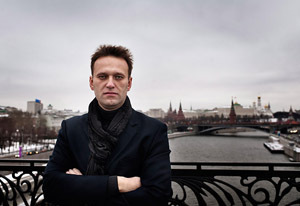 Navalny’s problem is that the majority of Russians who agree with what he says don’t trust him with their votes. There is thus no measure of power on which the opposition figures can qualify. They are lightning rods — their potency vaporizes as swiftly as it materializes. As for Prokhorov as a political campaigner, he is better known for his money: he has so far proved that turning the latter into the former is unlikely in Russian terms, if not for Radio Free Europe. That leaves the Russian government, officially appointed by and reporting to Medvedev, but subordinate to Putin. Outside the Moscow Beltway – meaning outside the publishing and broadcasting circle of pundits, hacks, and schmoozers – just three ministers have significant reputations. They are Sergei Shoigu, formerly in charge of natural emergencies and now in charge of man-made emergencies (defence); Rogozin, once the strategist of political nationalism and now in charge of the military procurement budget; and Lavrov, the foreign minister. Foreign ministries are cemeteries for the power hungry, and Lavrov has none of that. Shoigu and Rogozin have plenty of it, but until or unless Medvedev is packed off, they are not going upward, where the real power is. The duo closest to Medvedev are deputy prime ministers Arkady Dvorkovich and Igor Shuvalov. Their personal charms are often remarked on by western businessmen who meet them. But in all-Russia polls, their name recognition falls below the 50% mark, and their performance somewhere between the Far East and the Sport and Tourism portfolios. By pollster VTsIOM’s annual power elite measurement, Dvorkovich and Shuvalov don’t rate. If they sat on benches in London’s Green Park, as former Moscow mayor Yury Luzhkov often does these days, not even the Russian passersby would stop to chat.